Zedd is coming back to Manila! 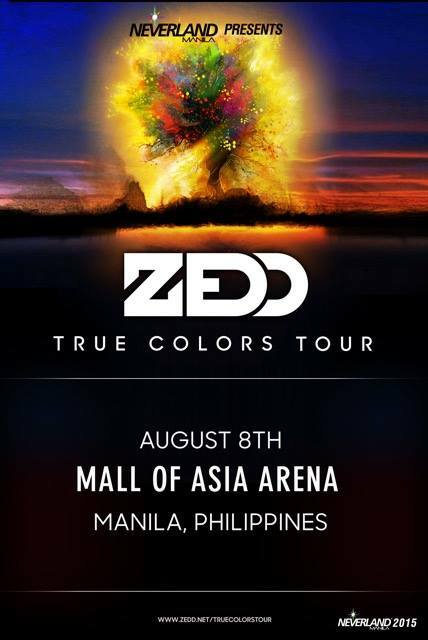 On August 8 Neverland Manila presents Zedd True Colors Tour at the SM Mall of Asia Arena. Early bird tickets will be available soon at SM Tickets outlets nationwide.